Napoli Sack Mazzarri For Gasperini? After several fishy rumors recently, the latest report from Italy suggested that Napoli have really decided to release their current coach, Walter Mazzarri, after the tactician doesn’t seem to commit his future with the Partenopei despite their success this season. According from reports in Italy, the Southern Italian club’s president, Aurelio De Laurentis, decided to release the coach after their recent talks made right after the last Serie A Matchday on Sunday. Italian media eve claimed that Napoli have already set up a replacement for Mazzari, which is former Genoa tactician, Gian Piero Gasperini, who is currently unemployed after being sacked from the Griffone, earlier this season. Further rumors also stated that De Laurentis has already started the negotiation with Gasperini and it shouldn’t be long before the announcement be officially made. Should this strong rumors turned out to be correct, than it would definitely be a bold decision by the club considering Mazzarri has really been touted as one of the main reasons for the Partenopei’s success in getting into the third place spot this season. The ex-Sampdoria coach managed to create the perfect environment and tactic that made the team capable of competing with the top teams in the league as they actually had a sniff at Scudetto for a while. 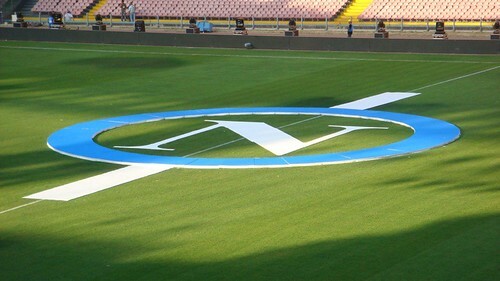 Moreover, this decision could really affected Napoli next season, where they will be playing again in the Champions League as with a new coach, the will need to start things all over again especially finding the right chemistry between the players and new coach. Not only that, with Mazzarri’s close relationship with the team’s players, there might be a chance that some of the Partenopei’s stars would be leaving them as the likes of Marek Hamsik, Ezequiel Lavezzi and Edinson Cavani do have plenty admirers.